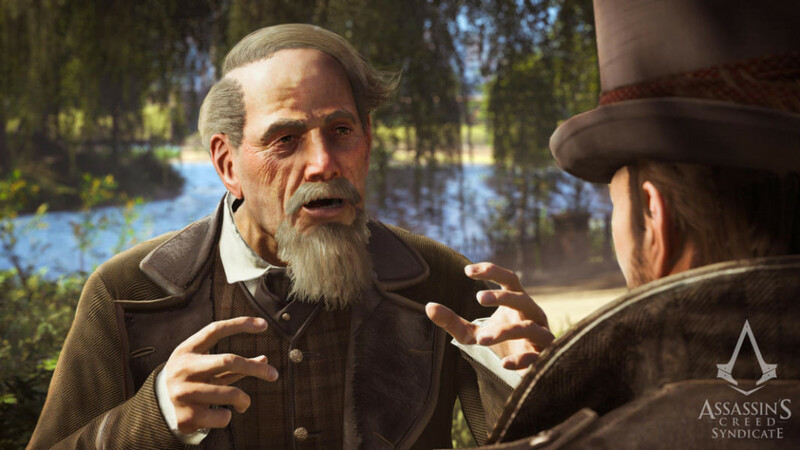 And finally we get to see the two historical figures- Charles Darwin and Charles Dickens, featured in Assassin’s Creed: Syndicate. You must be wondering about the two dialogues mentioned in the beginning of the article. The person babbling about “blowing things sky high”, is none other than Darwin, the historical English naturalist and geologist. “So, where’s the fun in that?”- You know who this dude probably is. So, we don’t need to mention his name. “The spirits that haunt us are simply our deepest fears”. This may sound very simple but at the same time it’s the harsh reality. These words belong to Charles Dickens, a reknowned English-writer in the Victorian era. And you’ll get the privilege to embark on the adventure of these two great philosophers, if you pre-order the game now. Defend the discoveries of Charles Darwin from people who would murder to eliminate him and help Charles Dickens keep a secret that could put his life in danger. Assassin’s Creed: Syndicate will be out for PS4 and Xbox One by 23rd October this year, while the PC version release date is yet to be confirmed. Previous articleTop 4 INDIE games everyone must try…! !